For over 100 years Volvo Penta has been designing testing and manufacturing marine propulsion engines that offer industry leading performance, economy and low emissions. D.B. 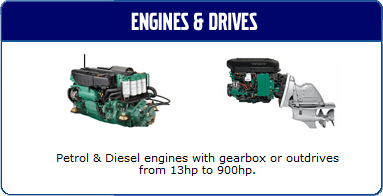 Marine is an official Volvo Penta Dealer and supplies only genuine Volvo Penta products that fit first time and ensure engines remain reliable and efficient for high quality performance that is so essential for the commercial operator. 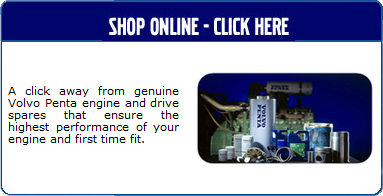 Our warehouse complex stocks a comprehensive range of spares, engines and accessories for daily despatch worldwide and our Volvo Penta trained staff offer excellent technical advice and customer service.